Dirt! Turf! Fillies! Colts! Three-year-olds! Older horses! No matter what kind of racing you prefer, there should be something for everyone on the second Saturday of 2015. 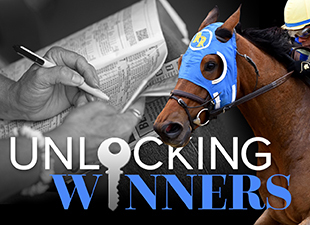 At Santa Anita, up-and-coming Kentucky Derby contenders will take the stage in the $100,000 Sham Stakes (gr. III), while at Gulfstream Park, a three-stakes card is highlighted by the $150,000 Hal’s Hope Stakes (gr. III), a race that marks the return of the very talented Lea. Throw in the Fort Lauderdale Stakes (gr. II) and Marshua’s River Stakes (gr. III) on the Gulfstream turf and a terrific renewal of the San Pasqual Handicap (gr. II) on the Santa Anita dirt, and one can easily see what a great of racing is in store. So without further ado, let’s start handicapping! On paper, Calculator looks like a major standout, which is ironic given that he is the only horse entered in the Sham that has never won a race. After finishing third and fourth in a pair of maiden races to begin his career, the Florida-bred son of In Summation stepped up to grade I company in the Del Mar Futurity (click link for replay) and ran a strong second to American Pharoah, finishing 8 ¼ lengths clear of the third-place horse. Off this effort, Calculator made his two-turn debut in the FrontRunner Stakes (gr. I) and ran even better, finishing second once again behind American Pharoah while defeating subsequent Breeders’ Cup Juvenile (gr. I) winner Texas Red. A minor injury forced Calculator to miss the Breeders’ Cup, but the colt has trained steadily for this race (most recently breezing a bullet six furlongs at Santa Anita) and looks primed for another good effort. From a Beyer speed figure perspective, he towers over his Sham rivals, and if he runs anywhere near as well as he did in the FrontRunner, he should have little trouble winning this race. Plus, as a maiden, he might even go off at a decent price! But although Calculator looks like the horse to beat, determining which horses will round out the exacta and trifecta is much trickier. One logical contender is Rockinatten, who broke his maiden by nearly nine lengths sprinting seven furlongs at Gulfstream Park West on October 26th. The time of 1:23.94 was solid and translated to a respectable Beyer speed figure, and the runner-up that day was The Son Wind, a decent colt that came back to finish a good third in a seven-furlong maiden special weight at Gulfstream last Sunday. However, since breaking his maiden, Rockinatten has been transferred to the barn of Doug O’Neill, who has been in a bit of an unfortunate slump at this Santa Anita meet (he’s 1-for-22 so far.) It may not have much of an effect on Rockinatten, who has been training sharply for this race, but it’s something to consider. One colt I really like is Pioneerof the West, who most recently finished ninth in the one-mile Eddie Logan Stakes on the Santa Anita turf. In his lone start on dirt thus far, Pioneerof the West was beaten a length in an 8.5-furlong maiden special weight at Santa Anita, a race in which he beat promising next-out maiden winner Prospect Park by three-quarters of a length. From a breeding perspective, Pioneerof the West should relish the distance and surface of the Sham, and drawing post two should allow him to work out at ground-saving trip. Drawing a bit wide in post eight, but still looming as a major contender, is Hero Ten All. The colt finished second behind Dortmund in his debut sprinting 6 ½ furlongs at Santa Anita, then stretched out to a mile at Los Alamitos and showcased a strong late rally to win by nearly two lengths. In that race, he clocked his final quarter mile in about :25 flat, a solid time. As a closer, he would benefit from a quick early pace, and the presence of his stablemate Papacoolpapacool—who broke his maiden in gate-to-wire fashion—should help ensure that the early pace is honest. All told, Hero Ten All seems like a good fit in this race. So to recap, I believe that Calculator is going to win this race and do so decisively, with Rockinatten, Pioneerof the West, and Hero Ten All being the primary contenders to round out the exacta, trifecta, and superfecta. I may also give Rock Shandy a look if he goes off at a good price, as the colt has run some solid races on turf and is bred to succeed on dirt. The surface switch may be exactly what he needs to turn in an improved effort. Only six horses have been entered in this one-mile race, but despite the small field, it promises to be a very intriguing race to handicap. The main question to consider is whether or not Lea can fire a winning effort off a layoff of nearly a year. Last winter, the son of First Samurai was the leading older horse of the Gulfstream winter meet, winning the Hal’s Hope by 3 ¼ lengths and the Donn Handicap (gr. I) by 1 ½ lengths over champion Will Take Charge. In that race, Lea stopped the clock for nine furlongs in the track-record time of 1:46.86, which translated to a massive Beyer speed figure of 114. Unfortunately, a combination of injury and illness have kept Lea from racing since then, and while he remains a contender on talent alone, it’s fair to question whether he will be ready for a peak effort off such a long layoff. Keeping this in mind, along with the fact that he is likely to be favored, I’m going to try and take a stand against him with a horse offering better odds. I believe that horse is Valid. The five-year-old gelding has been incredibly consistent throughout his career, cracking the trifecta in ten of his last eleven starts, and most recently ran second by a half-length to the promising Liam’s Map in the 8.5-furlong Harlan’s Holiday Stakes at Gulfstream Park. I was very impressed by Valid’s effort that day, as he unleashed a strong run in the third quarter mile to challenge Liam’s Map for the lead and stayed on strongly down the homestretch to just miss winning. For his effort, he earned an impressive 111 Beyer speed figure, and this number wasn’t a fluke—he has earned similar numbers in the past. If Lea needs to get a race under his belt before returning to peak form, Valid should be more than capable of pulling off a minor upset at a respectable price. I am also intrigued by the chances of Confrontation as a longshot to contend for the exotics. The Barclay Tagg-trained gelding has never run farther than seven furlongs, but has compiled an admirable record while sprinting against good company. Last time out, he finished a strong second behind Salutos Amigos in the seven-furlong Bold Ruler Handicap (gr. III) at Belmont Park, running his final three-eighths in about :35 3/5. If the pace is reasonably quick—and it certainly could be—I believe that Confrontation can come running to finish second or third at a good price.